It’s hard to believe there are only two surveys to go in 2018. This year has already delivered some big surprises and plenty of talking points, much of which stems from movement within GfK’s all-important radio ratings. Radio Today is breaking down all the big movers that you need to know about in each metro market, starting with Melbourne, in our most detailed ratings analysis yet. NOVA Entertainment will be pleased with the continued performance of smoothfm, as the station continues to lead the market in Melbourne. smooth retained its position despite falling below double figures to 9.9% for People 10+ (-0.5), edging out Fox FM and Gold104.3. 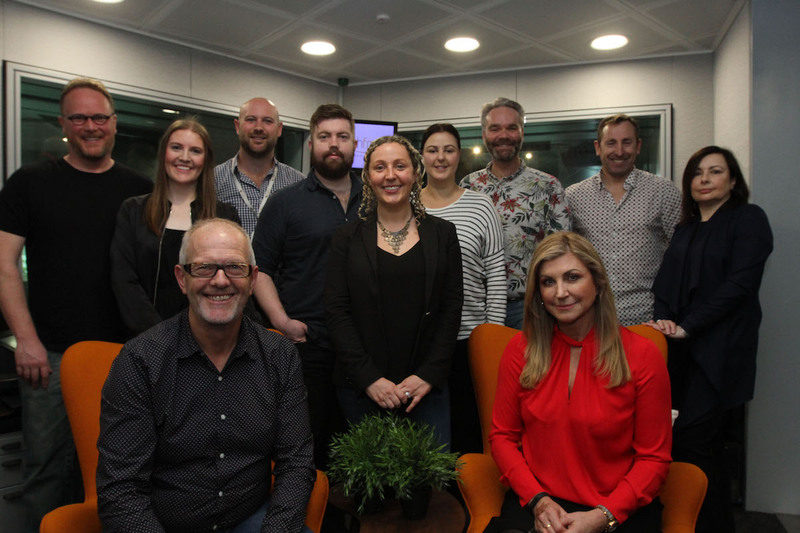 smoothfm’s Mike Perso & Jennifer Hansen rose up the rankings in Breakfast too, finishing Survey #6 with an 8.8% share of listening, behind only SCA’s Fox FM. The results have come at a time when direct competitor Gold and Christian O’Connell are falling. However, NOVA Entertainment group program director Paul Jackson tells Radio Today he’s not sure “if there’s a direct correlation” but admits the situation affords “some opportunity in the marketplace [for smooth]. “Gold’s obviously got some very good numbers in other various dayparts so the overall impact of their good result in the daytime has been felt,” he says. “Christian’s done okay so far I think. He’s going through that period where people who like him are locking on and people that maybe don’t like it so much because its too different for them are moving. With an excellent result of 9.8% on Drive (+0.4) for Byron Webb’s More Music Drive show, smooth is clearly NOVA Entertainment’s strongest overall offering in Melbourne as Nova 100 remains steady with a 6.8% share (-0.1). Chrissie, Sam and Browny continue to pump out a similarly consistent offering on Nova 100 Breakfast and have hovered between 7-8% for some time now. Meanwhile, Melbourne remains one of the only markets that Kate, Tim and Marty aren’t #1 or thereabouts, and they finished on 8.1% (+0.2) which leaves them in fourth place among FM Drive shows. Survey #6 was undeniably a poor book for ARN overall, despite KIIS 101.1 with and its Breakfast show Jase and PJ remaining steady and Gold FM holding third spot overall on FM. A concern at this stage must be new show for 2018; Will and Woody. Will they resonate on Drive by the end of the year? The duo fell this survey to 6.1% (-1.1), and have now fallen for five consecutive surveys. They say it takes three books to spot a trend. If that’s the case then there must be concerns over O’Connell’s performance on Gold FM Breakfast. ARN will hope that his audience has now locked on and that there’s no further downward trend. Survey #6 sees the former Absolute Radio host fall to 6.7% (-0.7), down from a high of 8.7% in Survey #4. But the results aren’t phasing ARN national content director Duncan Campbell. “Melbourne continues to be an incredibly competitive market with only 0.6% between the number #1 and #3FM shows, so we’re very pleased with how GOLD 104.3 is performing,” he said in a statement. After spending the entire year in double digits (even getting as high as 12.1% in Survey #2), it won’t please Southern Cross Austereo to hear that the long-performing Fox FM dipped below that benchmark this survey. Fox now holds a 9.4% share of listening (-0.6) to finish in a respectable second place overall among People 10+. That result was reflected on Breakfast too, with Fifi, Fev and Byron falling to 9.6% (-0.7) and Drive hosts Hughesy and Kate dipping to 10.5% (-1.5). SCA will be confident that Fox can turnaround these results overall and on Breakfast, though there may be some hard slog to win back some of those numbers, especially in the wake of content director Adrian Brine’s recent departure on leave. It was a better result for Mike Fitzpatrick and the team on the Triple M side of the stable. Kennedy Molloy, in particular, experienced a fantastic result on Drive in their home city, jumping to a 7.1% share of listening (+1.9) while the majority of their competitors all took hits. That result was mirrored by the station overall and Eddie Maguire’s The Hot Breakfast, if not quite as spectacularly. However, it’s worth noting that the MMMs typically do well at this time of year, with their coverage of the lead up to footy finals pulling plenty of sets of ears. Ben and Liam have helped triple j make a nice gain this book, with the Breakfast show and station seeing a rise (+0.4) in one of Australia’s most competitive markets and just one point behind KIIS 101.1’s Jase and PJ. Stay tuned to Radio Today next week for our continuing comprehensive analysis for Sydney, Brisbane, Adelaide and Perth.